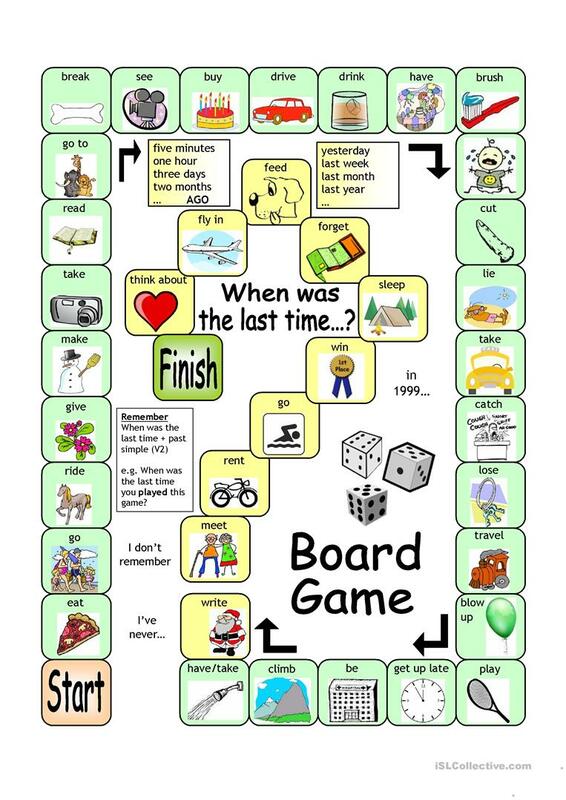 Board Game - When was the last time...? With this board game, learners will practise the present perfect in an enjoyable way. Every square provides a verb and a picture clue. Every time a correct question is asked, the game can be used as a communicative activity whereby players ask each follow-up questions (e.g. When was the last time you read a book? What book did you read? Was it good? What kind of books do you like? How often do you read? etc). 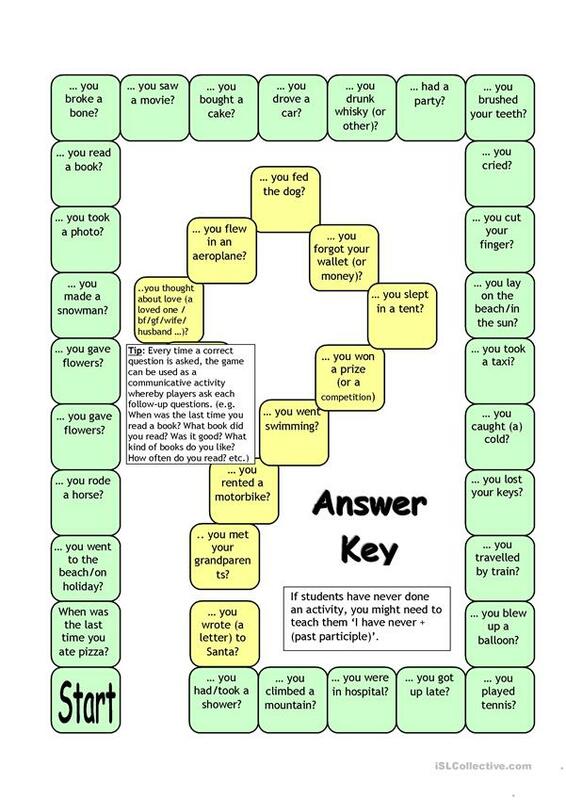 Answer key and grammar tip included. LetÂ´s make learning fun! The present downloadable worksheet is recommended for business/professional students and high school students at Pre-intermediate (A2) and Intermediate (B1) level. It is great for teaching Questions in English, and was designed for improving your groups' Listening and Speaking skills. It features the vocabulary topic of Daily routines. There is an answer key provided with the exercises.